Susan Hulme became a Master of Wine in 2005, at that time one of only 250 in the world. She won the Madame Bollinger Tasting Medal, awarded for an outstanding performance in the tasting part of the exam. 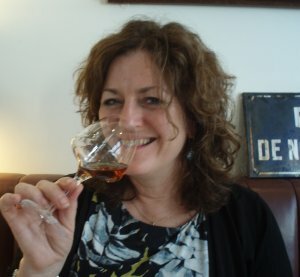 She is a panel judge for the IWC and is also a regular contributor to Decanter tasting panels. She is a member of the Circle of Wine Writers, a former chairman of the Association of Wine Educators (AWE) and the current editor of the AWE Newsletter. Since 2007 she has been on the Institute of Masters of Wine Events Committee. Susan runs her own wine education and consultancy company, Vintuition, based in Windsor, Berkshire and provides all kinds of training and wine courses for the trade and members of the public. A major part of her work is running in-house training and WSET exams for sales executives at some of the leading on-trade and retail wine companies.